Two weeks ago, we had a job meeting where we talked about the prices of our veggies, how much we are making and what is making us the most (and least) money. We made an operations chart showing the process of our veggies from prepping the beds to selling to local restaurants. Today, Kasandra and [Tessa] picked borage flowers for the pastery chef at Flora. They are small and a purple-ish, blue color. The center of the flower has a sticky sweet substance. Today we also wrote thank you letters to a few of our WOW Farm sponsors. We are very appreciative of their donations to our program. 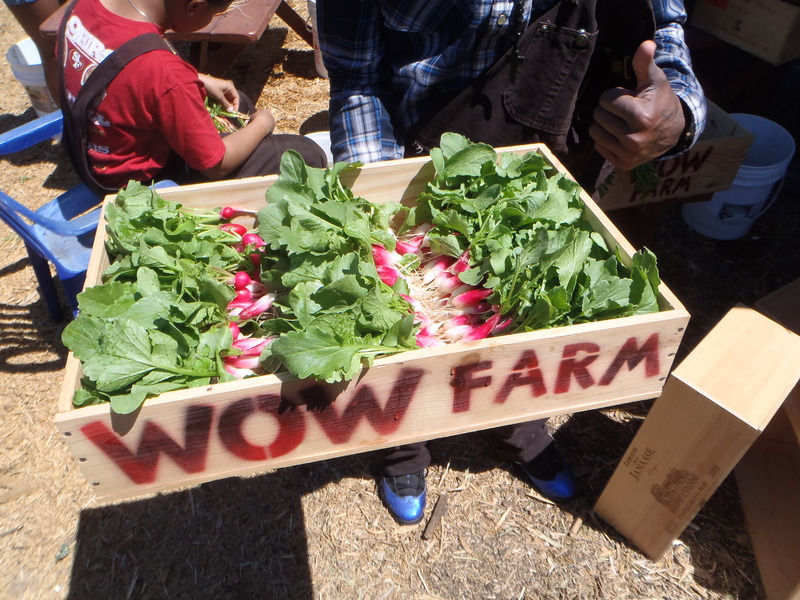 We also harvested carrots, radishes, and radish thinnings. We watered the beds and sprayed our fruit trees with water to get the bugs off.